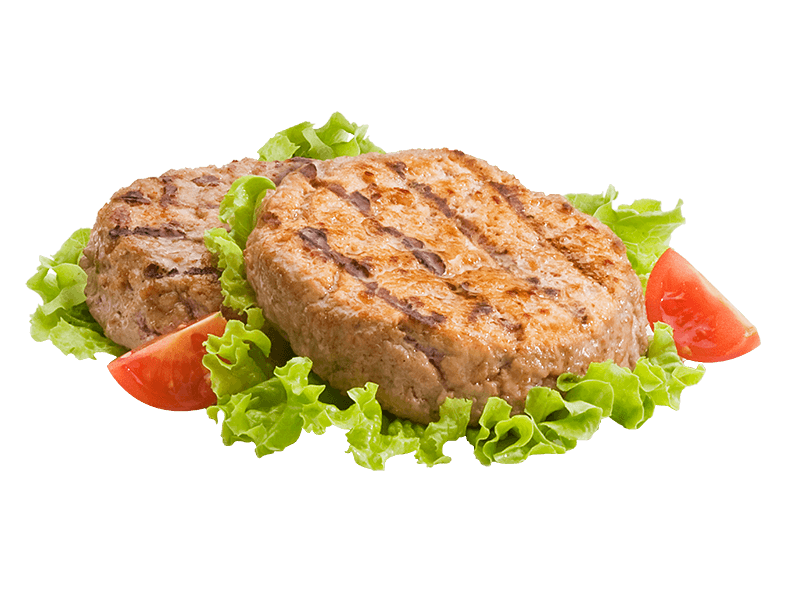 Pork meat hamburger with cooked ham. 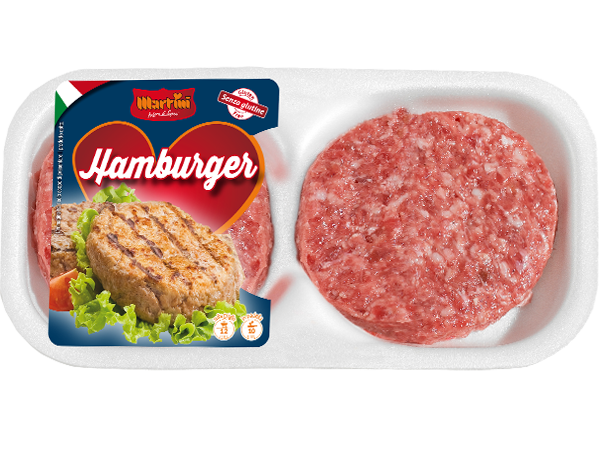 Pork meat (70%), water, raw ham (5%) (pork meat, salt), breadcrumbs (plain soft wheat flour, brewer's yeast, salt), salt, sugars: dextrose, sucrose, antioxidant: E300, E301, acidity regulator: E331, E262, herbs, spices. It may contain traces of milk.